Does Price Really Matter When It Comes To Haircuts? Three girls tried salons with varying rates. 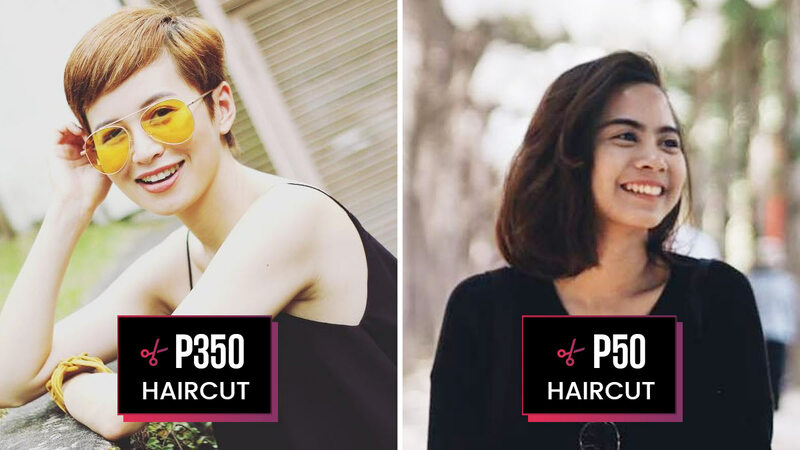 Some salons offer haircuts for as low as P50, while others go as high as P4,000. We then wondered if an expensive cut guarantees fantastic results, or if it's okay to be practical and go for low-cost ones. To find out, we asked three girls who went to different establishments with varying rates. Here are their thoughts. Address: P. Ocampo Street in Malate, near Benilde. Previous hairstyle: "It was a blunt bob cut, and the length was just above my shoulders. I asked the stylist to trim my hair by about two inches. It wasn't a big change, that's why I opted for a cheap salon." Trina's experience: "As expected, they didn't wash my hair before cutting it (that's why I showered before going there). Nag-spray lang ng water sa hair ko then haircut na. They also blow-dried my hair. It took about 15 minutes. "Overall, they had decent service. It's a clean, air-conditioned salon with 10-12 chairs available. The stylists wore an all-black uniform (if I remember correctly), which somehow gave a professional vibe. The staff is okay—not very welcoming but not too cold. Tama lang. It's the cheapest haircut I've had but definitely, it wasn't the worst." Trina's final thoughts: "The length is just how I expected it to be. It's not bad at all for a simple trim. I usually go to the salon near my condo for P100 (akala ko ang mura na noon), but parang same lang naman ['yung results], if not better service pa nga sa Wow! Salon." Previous hairstyle: A curly, layered, shoulder-length style. 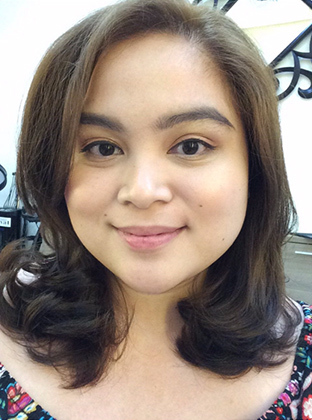 Jillian's experience: "There’s a shampoo and blowout included in every haircut appointment. Kérastase treatments come with a free scalp massage. The Megamall salon’s interiors are clean and bright, and there’s no feeling that you’re being 'rushed' because your stylists need to attend to someone else. They really take their time with you and help you get the look you want. They’re also very generous with hair products so you can style your hair after the cut. I usually request for a wax to texturize my short hair." Jillian's final thoughts: "I’ve been going back for almost two years. My long, shoulder-length hair became a lob, and then a bob, and now, a pixie cut. My confidence in my stylists grew over time, which gave me the courage to go for a drastic change. And since my current hairstyle requires very frequent maintenance (every two to three weeks), the mid-range pricing is really worth it." Previous hairstyle: Medium-length, layered wavy hair that ends around the armpit area. 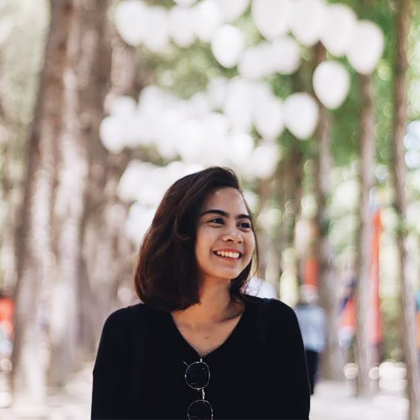 Retty's experience: "The experience was quite luxe. The shampoos they used were Aveda—which is a really good brand. Shampooing took longer than usual as the stylist took her time to thoroughly wash my locks and give me a scalp massage. "I didn’t really have a specific peg for my haircut. I figured, if I was going to pay that much for a haircut, the stylist should know what would suit me best. When she asked me what I wanted, I just said that I was bored with my hair and that I wanted it a little shorter. She took one look at me and told me what she was going to do and I just said 'Okay, sure! I trust you.' She chopped off around three inches of my hair and added side bangs. She used different types of scissors too—I think one is to add texture. "Before blow-drying my hair, the stylist explained to me what kind of blowout they were going to do to make sure my new haircut shows better." Retty's final thoughts: "I was pretty blown away after seeing the results! It was the haircut I didn’t know I wanted. My hair got even better after the first time I washed it by myself. The locks perfectly framed my face and the cut brought out my waves! I feel like I got my money’s worth especially after seeing how my waves came out beautifully after the cut. I probably will [go back] after a couple of months!" If you're going for a simple trim or haircut, there is no need to splurge. But when you want a totally different look, it's safe to book a reputable (but not necessarily expensive) salon, and find a highly-skilled stylist who already knows how to work with your locks' natural texture. Getting the perfect 'do is really about trial and error and finding *that* person who's hiyang with your hair needs.